Kansas City on the radar again this week. Suddenly we’re noticing something magical happening in this Midwestern town from killer restaurants (www.insidefandb.com/2011/08/eat-here-now-kansas-city) to a burgeoning cocktail festival that, on August 21st, marks its fifth year; behold, the 5th Annual Greater Kansas City Bartending Competition. Set in the heartland where cattle is as important as cocktails, a whole new drinks fest is on the rise. Though the name belies a single event, don’t be fooled. This is not just some one night wonder competition that’s here and gone. 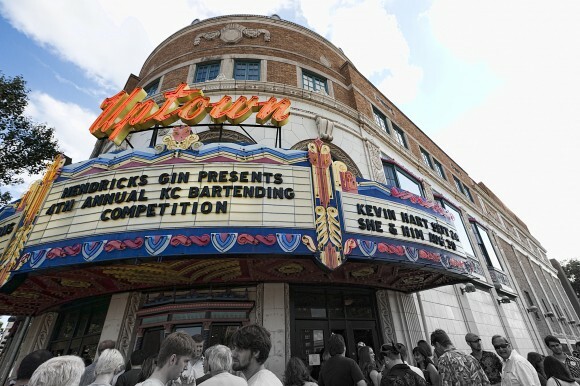 The 5th Annual Greater Kansas City Bartending Competition is a week-long celebration of a lovingly crafted drinks culture that keeps pace with the rest of the country. This just in from Aisha Sharpe, who, along with partner Willy Shine, runs cocktail consultancy Contemporary Cocktails www.contemporarycocktailsinc.com …Sharpe announces,“Willy and I have set up a company supporting charities for the global good called Cocktail for a Cause. According to Shine, the association with VeeV and Contemporary Cocktails has a long and deep history and the two companies are eager to enlist the help of anyone and everyone who fancies themselves a mixologist and sees themselves steward of the earth. Getting involved is easy, just create a cocktail using VeeV and fresh, seasonal ingredients and submit it on the Contemporary Cocktails Facebook page www.facebook.com/#!/contemporarycocktails?ref=ts. 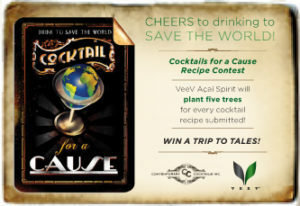 VeeV has agreed to plant five trees for every cocktail recipe submitted. Cocktails will be judged by fellow Facebook users, and on May 3rd the top three winners will be decided. Each of these winners is gifted with a free trip to Tales of the Cocktail (hotel and airfare). To plant some trees, and submit your VeeV cocktails, visit the Contemporary Cocktails Facebook Page. Just like taxes, but much much tastier, the deadline is looming for entry into this year’s Tales of the Cocktail USBG competition. Kicking off the fun on Friday, July 23rd this annual competition will feature USBG members mixing up their variations of a margarita with Milagro tequila as the key ingredient that shines through. Entries are due in tomorrow, tax day (aka April 15th). Competition guidelines and an entry form are below.